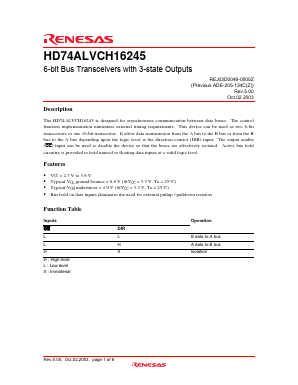 The HD74ALVCH16245 is designed for asynchronous communication between data buses. The control function implementation minimizes external timing requirements. This device can be used as two 8-bit transceivers or one 16-bit transceiver.